TeamVRC is a non-profit cycling club dedicated to developing tomorrow’s top talent while also increasing awareness about Multiple Sclerosis. 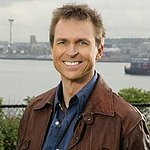 Phil Keoghan's No Opportunity Wasted is one of the team’s sponsors. We don't have any videos related to TeamVRC.